The New Year's Eve banquet includes savory hors d'oeuvres and champagne from 9:30PM to 10:30PM, during the cocktail hour. The doors to the main banquet hall open at 10:30PM. Deluxe dinner includes over twenty delicious appetizers, five courses of hot gourmet meat and seafood dishes, caviar, unlimited flow of premium liquor and champagne, mouthwatering desserts, and gourmet coffee. Guests will enjoy the mind blowing Casino Royale event and celebrate in style with a red carpet entrance, real casino tables with dealers, show girls and a burlesque show, full band with musicians, contests and party favors, and world class DJ's! Online sales are now closed. Tickets will be available at the door. Новый Год - время волшебства и сюрпризов! The Reunion Parties и ресторан Crystal приглашает вас на самое грандиозное празднование Нового Года 2019 в центре Голливуда. Мы ждем Вас 31 декабря на "Casino Royale" в роскошном зале ресторана Crystal! Вас ожидает красная дорожка и папарацци, неповторимое банкетное меню, настоящее казино и игральные столы с дилерами, бурлеск-шоу, конкурсы и призы, дед мороз и снегурочка, неограниченное количество спиртных напитков и шампанское, великолепная живая музыка, лучшие диджеи, тамада, ведущий, и ансамбль. MAIN RECEPTION: The main reception will begin at 10:30PM, featuring over twenty delicious appetizers and five courses of hot gourmet dishes, as well as an unlimited flow of premium liquor. Our guests will enjoy mouthwatering desserts and gourmet coffee. THE DECOR AND GRAND ENTRANCE: As soon as you enter the grand gates, you'll be greeted with a Red Carpet entrance and paparazzi capturing mesmerizing photos of you and your friends, for endless memories. The unique décor will transform the venue into an upscale royal ball fantasy to create a unique feel of exclusivity. CASINO ROYLE THEME: Prepare to party James Bond style with high class sophistication, alongside gorgeous models and unmatched entertainment at this one of a kind themed event. This themed event will feature real blackjack and roulette tables and dealers, a beautiful art deco decor, show girls and a burlesque show, specialty cocktails, music, dancing and surprises. Have fun with your friends at the roulette and blackjack tables (for fun, no real money is involved), enjoy exotic drinks and meet fabulous people in a night of class and mayhem. LIVE BAND, DJ's, AND ENTERTAINMENT: This night will feature a wide spectrum of non-stop entertainment. Live singers, full band with musicians, and world class DJ's, will keep you on the dance floor all night long! The entire facility incorporates state-of-the-art dynamic lighting system. Since 1999, our events have been Los Angeles's leading nightlife destination. We aim to provide our guests with the largest, most upscale, and exclusive events, concerts, clubs, and parties in the city. 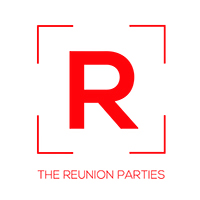 The Reunion Parties works with the hottest venues, top DJ's, biggest artists and celebrities, and we are by far the most recognized name in the business. The Reunion Parties © 1999- All Rights Reserved.